Finance Minister Ken Ofori-Atta told parliament categorically on Thursday, 19 July 2018 that there will not be any increase in Value Added Tax (VAT) as widely speculated. The speculation was sparked by Mr Gabby Asare Otchere-Darko, nephew to President Nana Akufo-Addo, on social media. The Minority in Parliament and the main opposition National Democratic Congress took issue with the government over the speculation and vowed to fight any such tax increase. However, Mr Ofori-Atta announced a restructuring of the components of VAT rather than an increase. He said there will be a 2.5% conversion of the National Health Insurance Levy (NHIL) component to a straight levy as well as a conversion of the Ghana Education Trust Fund (GETFund) VAT rate from 2.5% to a straight levy. “On the under-performance for the first five months of 2018, we will end the year with an estimated deficit of 4.9% of GDP compared to the programmed target of 4.5%, resulting in a fiscal gap of GHS870 million, unless we immediately implement some fiscal measures; intensive tax compliance measures, New revenue measures, Intensive Conversion of NHIL (2.5%) to a straight levy, Conversion of GETFund VAT rate of 2.5% to a straight levy, Imposition of luxury vehicle tax of GHS1,000 – GHS2,000 on non-commercial vehicles with capacity of 3.0 litres and above, review of PIT to include an additional band of GHS10,000 and above per month at a rate of 35% and downward adjustment discretionary expenditures,” The Finance Minister said. 2. New VAT Structure: 12.5% VAT (computed as an input-output tax) 2.5% GETFund levy (based on transaction values) 2.5% NHIL (based on transaction values). “So, the rate stays the same but the amounts collected will increase and subsequently the overall tax burden. Let me illustrate this with a dressmaker who purchases a fabric from Makola costing GHS90 as raw material input and eventually sells the dress made using the fabric at GHS100, all without VAT (ex-VAT). Under the new VAT scheme, the dressmaker will pay a combined 5% GETFund and NHIL levy amounting to GHS4.5 but they cannot recover this as an output tax credit which was the previous case as this is now not cost recoverable. It becomes a business expense! Normally, when businesses buy things, the VAT cost on the raw materials such as VAT is supposed to be fully reimbursed. 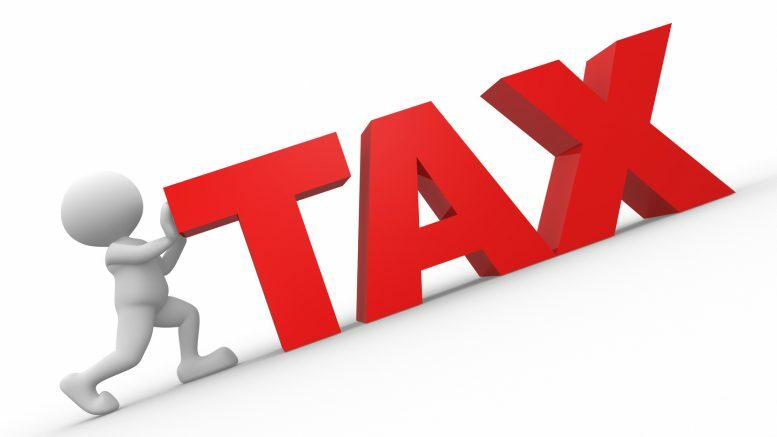 “However, by the government of Ghana decoupling the 5% NHIL and GETFund component of VAT, this levy (business tax) becomes a business cost which is non-reimbursable. The dressmaker subsequently sells the good at GHS117.50 but their net profit before VAT becomes GHS5.50 (GHS100-GHS90 GHS2.25 GHS2.25) whereas the net VAT and levies paid by them to the government (GRA) becomes GHS6.25 (12.50-11.25 2.50 2.50). Hence, most business will have to decide whether to absorb this extra 5% charge, eating into their profit margins or pass this on to the consumer although the latter is more likely to be the case. What is constant in all of this is that the government will still accrue more money by the change”. He, therefore, charged industry players and organised labour to submit good proposals to government in order to mitigate the effect of the reviewed taxes. “I hope the Association of Ghana Industries (AGI) and other business group see this as well and up their lobbying efforts before the amended VAT act is passed by parliament to give effect to the proposed policy changes,” he admonished.